The Ultimate, One-of-a-Kind Health & Wellness App has Arrived! 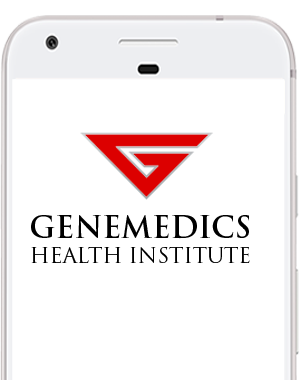 Our app is the only app with the comprehensive Genemedics® exercise video library built right into the app. We closely monitor your nutrition, supplement, & exercise progress on your journey to a healthier, better you! Staying connected to your support team makes it easier to achieve your fitness dreams! Get connected. Get motivated. And get inspired! 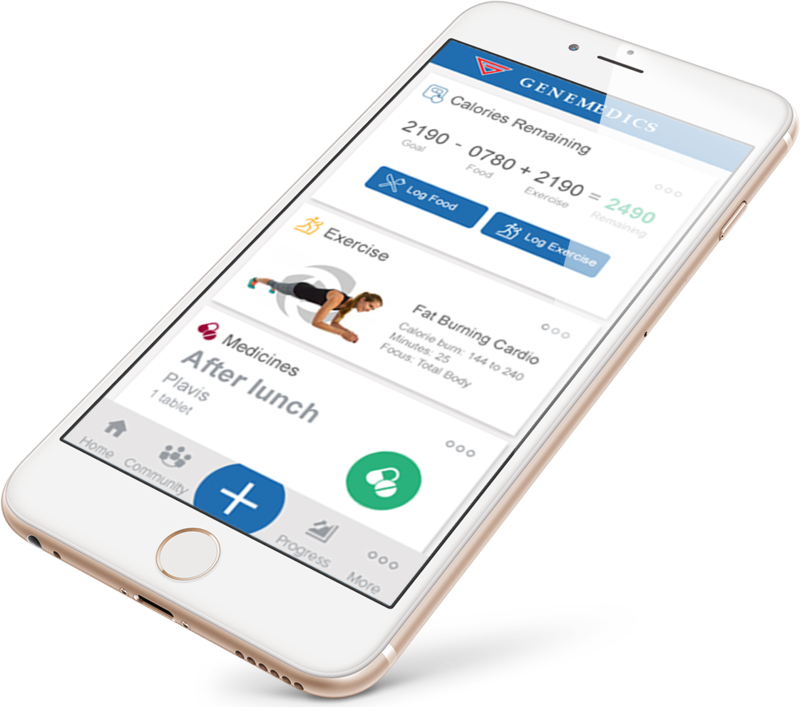 Our huge library gives you greater accuracy and control over your diet than almost any other health app. Track your calories burned and fitness goals while integrating your fitness program into your nutrition plan. Keeps track of your supplement and medication schedule with helpful reminders so you’ll never fall off track. Our app makes it easy to track your steps per day and figure out how much distance you’re covering. Set and track goals for blood pressure, fat loss, body fat percentage, muscle gains & Much more..
Track your heart rate using data from the Apple Watch heart rate sensor. You’ll also get real-time stats like elevation change, average speed, and distance covered. When you’re doing yoga using your iPhone, Pocket Yoga can show you a picture of the current pose, pose name, time remaining, and calories burned. Whether you’re walking, running, cycling, or using the most popular fitness equipment, Apple Watch knows how to keep you motivated. With multi-sport functionality and SmartTrack™ automatic exercise recognition, Fitbit Surge lets you track every aspect of your training. Use multi-sport modes for the most precise tracking during workouts and real-time stats on display. Make the most of your day by getting more out of your night. Surge automatically monitors how long and how well you sleep, syncs those stats to your smartphone and computer, and displays your trends as detailed charts on the Fitbit dashboard. 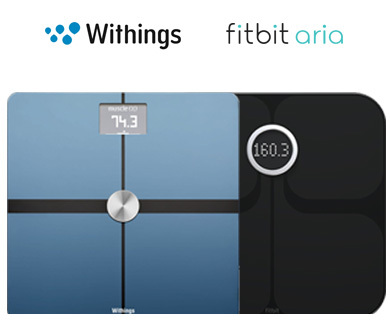 Get high-accuracy weight and body fat measurements, as well as your Body Mass Index. Pick the right body type to optimize the fat mass measurement — if you exercise vigorously on a regular basis, switch to "Athlete mode". The Smart Body Analyzer takes your pulse everytime you weigh yourself. 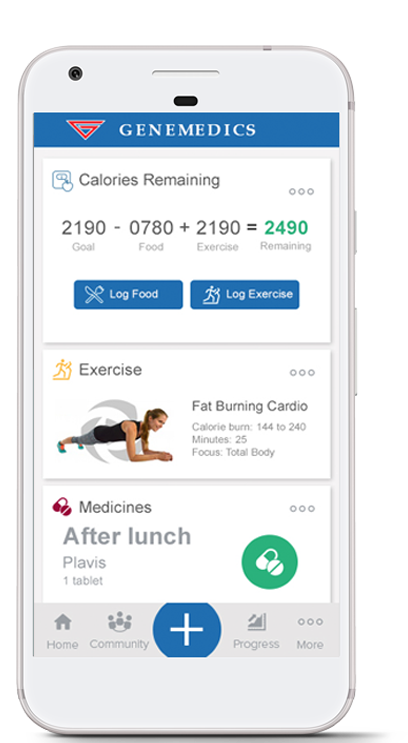 An effortless and ingenious way to give you the information you need to make the right decisions for your health. Displays weight stats and progress trends in easy-to-read charts & graphs. With your history available 24/7, you can see what works, reinforce positive behaviors and stay focused on the big picture. As the scale checks your bedroom indoor air quality through temperature and carbon dioxide measuring, the app builds a CO2-level graph with the important thresholds and lets you know when to clear the air. 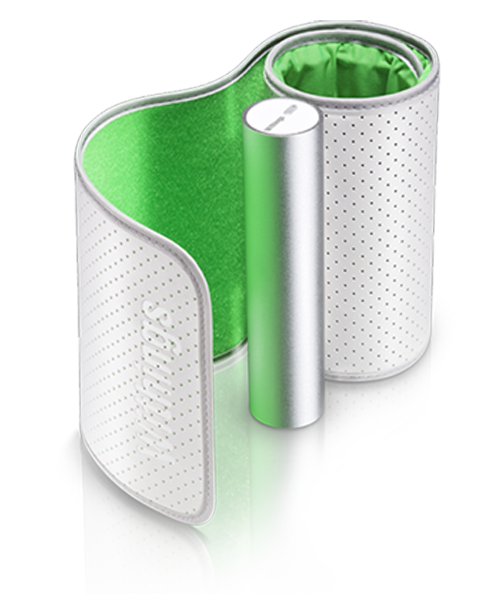 Simply slip on the cuff, turn on the Wireless Blood Pressure Monitor and the Health Mate app will automatically launch. Following a brief set of instructions, you are ready to take your blood pressure. The app gives you instant color coded feedback based on the ESH (European Society of Hypertension) and the AHA (American Heart Association) recommendations for hypertension. Because tracking over time helps you better understand heart health, the Health Mate app stores all your BP readings, syncs with the Withings Health Cloud and creates an easy-to-understand chart. The Wireless Blood Pressure Monitor's results have scientific value: It has received clearance from the Food and Drug Administration (FDA) in the USA and is compliant with European medical device regulations. It is also medically approved in Canada, Australia and New Zealand. Use the Wireless Blood Pressure Monitor for prevention or to check the efficacy of your treatment. Either way, a few taps on your smartphone is all it takes to share measurements with your doctor.